A properly crafted resume can guarantee you a job offer, in most cases. When it comes to creative professions, such as a photographer, designer, or artist, they should definitely have an outstanding ‘out of the box’ resume. However, today we are going to talk about simple resume templates which will be suitable most of industries and specializations. 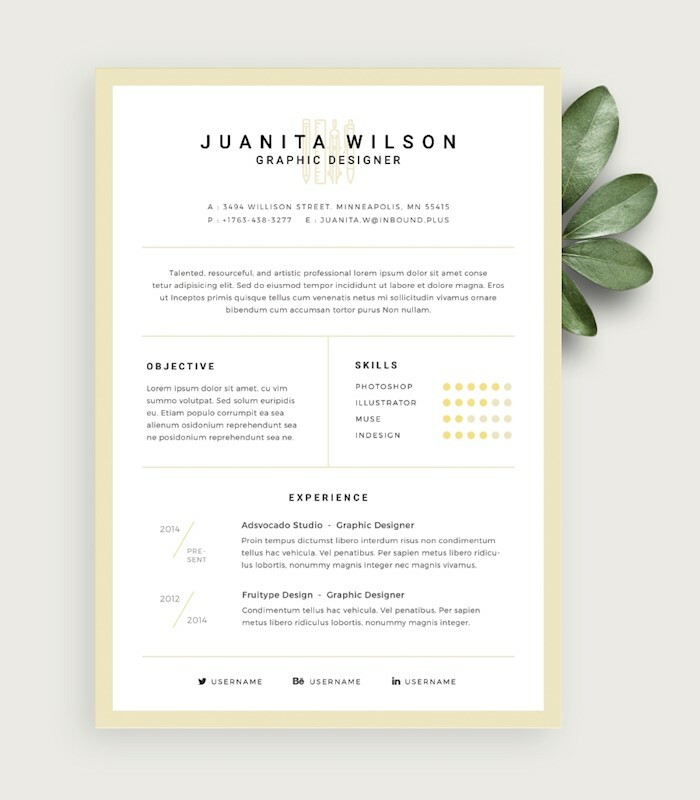 Using a premade template with a modern, clean design is way better than creating a resume yourself from scratch. It will save you not only time but your efforts too. If you have not crafted any resumes before this moment, it would be different to create something really good from the first attempt. 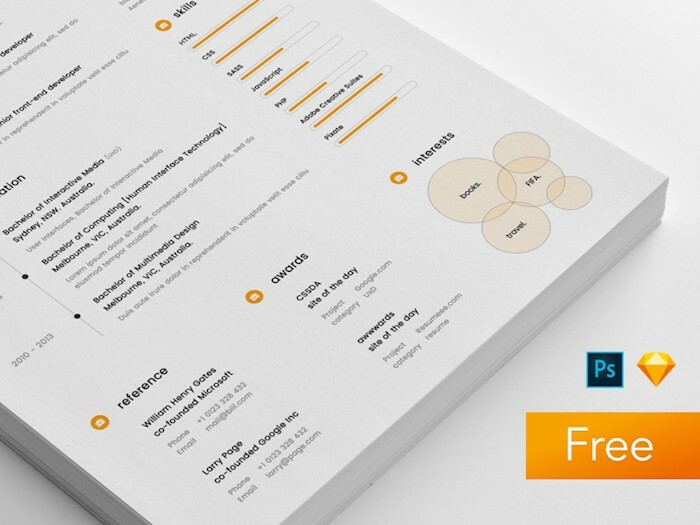 Check out our collection of best free simple resume templates we handpicked for you. All of them are entirely free, as you can download them and use as you want. Do you want to impress your employer from the very first glance? 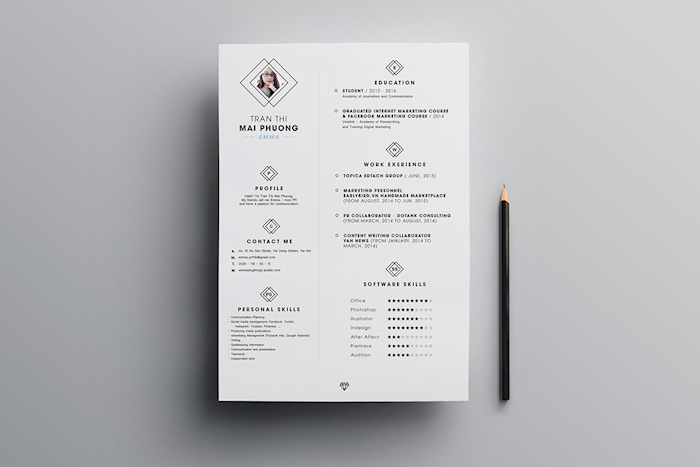 This simple yet effective resume template will help you to do that. A basic clean resume template in AI format. You’ll also get all the fonts used there along with free icon set. 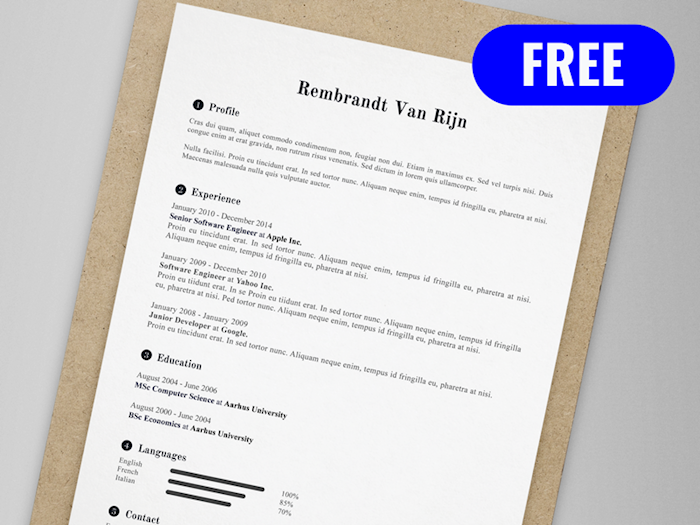 This free resume template can be used in any kind of business. It features black and green colors. You can fill in the following sections: experience, education, and professional skills. 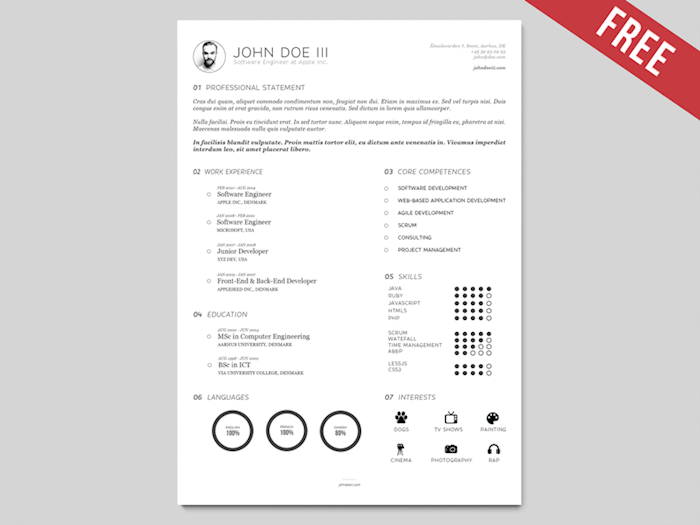 Here is a free pre-made resume for a graphic designer. You can edit anything you want using Adobe Photoshop. Look at this two-columns resume template in black and white. The black column contains a photo, profile, and contact info. The white column has experience, education, skills, languages, and hobbies. 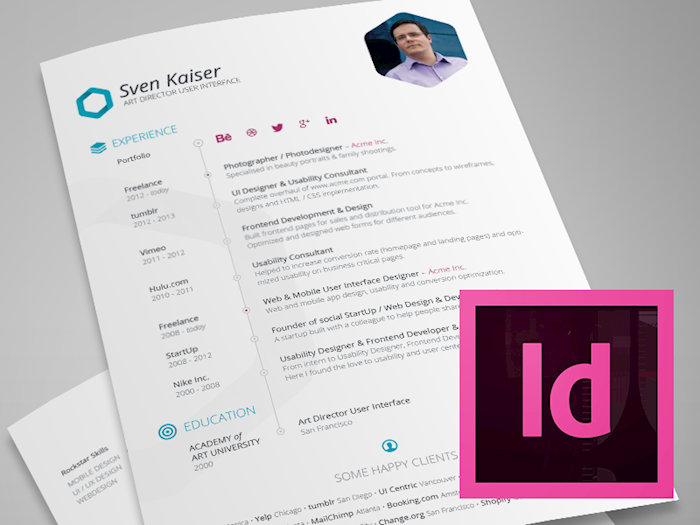 If you are looking for a beautiful InDesign resume template, search no more. Here is a perfect solution. 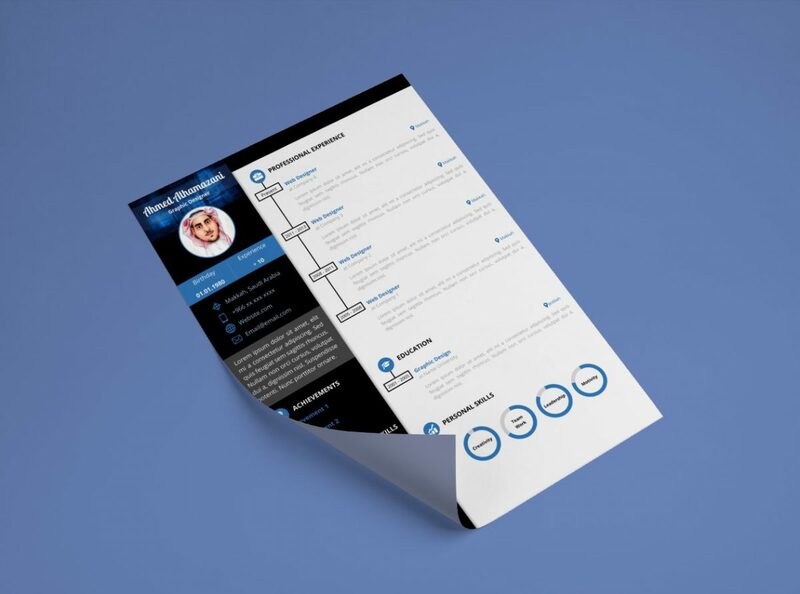 The resume is designed in the form of a timeline. This is a colorful, eye-catching resume template in the form of a letter. It has a massive header with bold font and certain fields for all the necessary information. 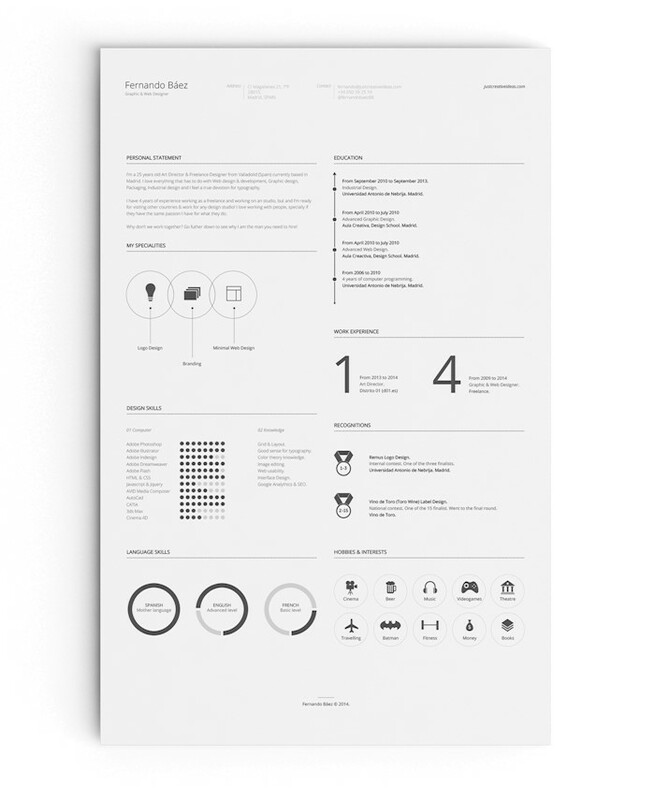 This is a free resume for designers and developers. It is using black and orange colors. 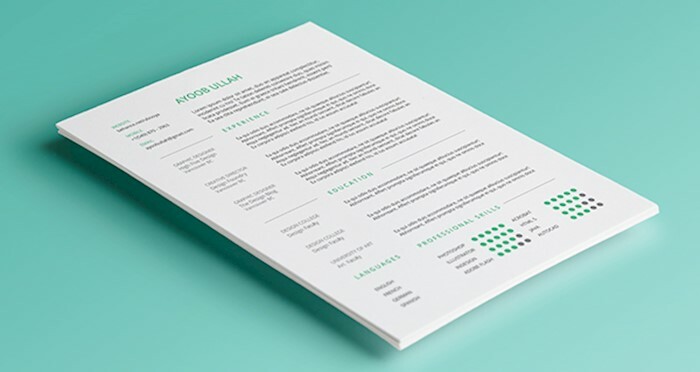 If you want to stand out from the crowd, this resume template was crafted for you. It features black and white photo along with a large red header. All the other information is placed below. Here is a creative CV for a photographer and graphic designer. It has an outstanding layout with green and black colors. 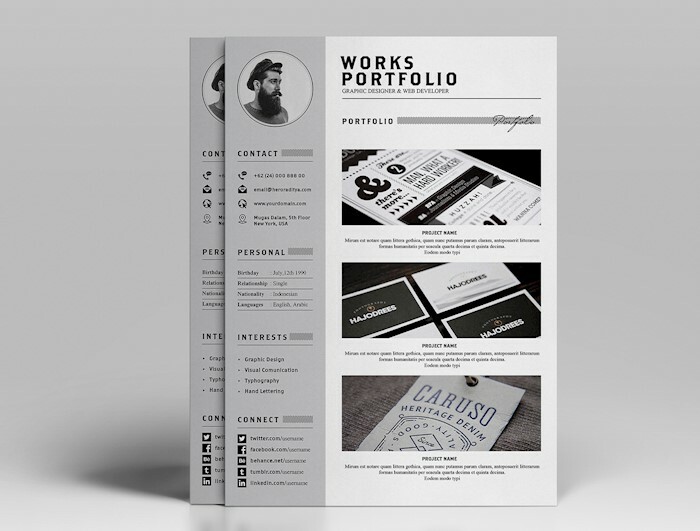 This is a resume template in PSD file with well-organized layers. 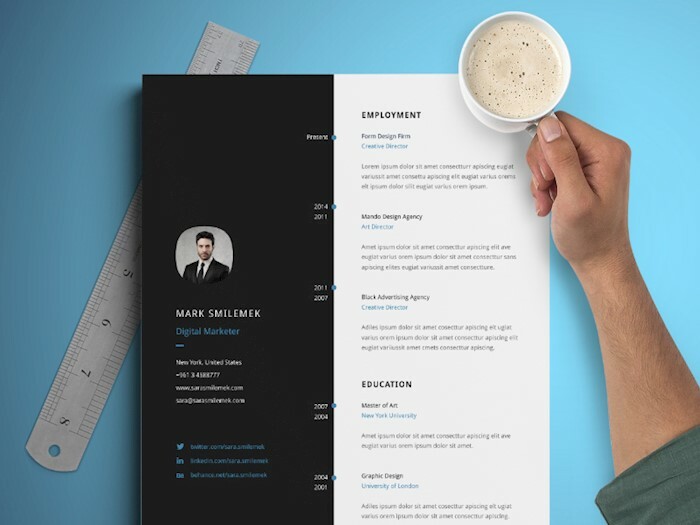 The header color can be changed, and it will also change the way your CV looks completely. 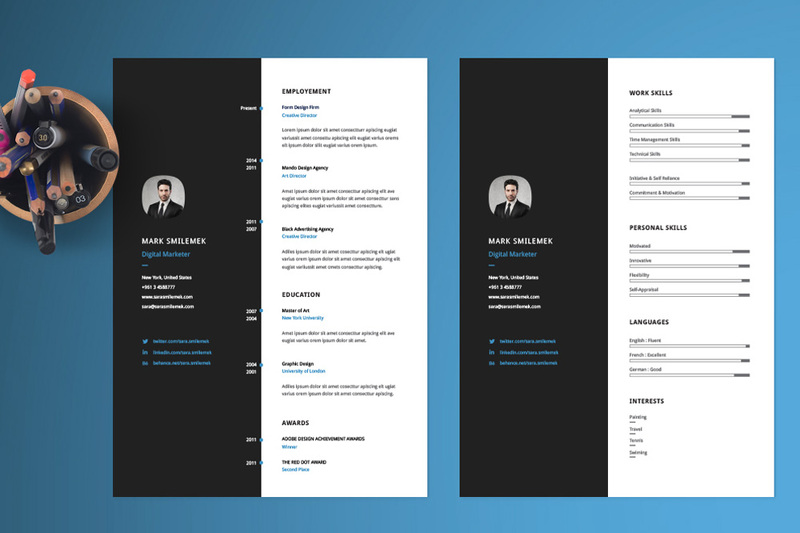 Look at this clean, modern resume template with thin fonts and photo header. It also features name, logo, biography, skills, languages, and experience. 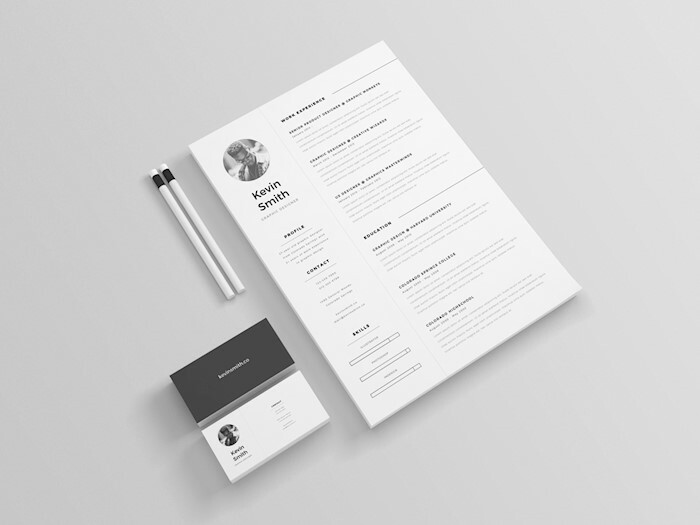 A set of resume and a covering letter template in simple, clean design. The package contains AI files which you can adjust as you need. This stylish, elegant resume and portfolio template looks like a retro newspaper. It has all necessary fields, such as profile, work experience, education, and contact info. 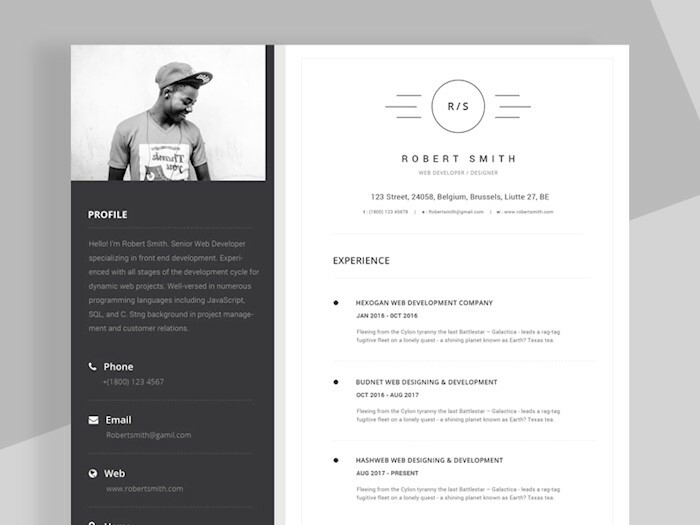 This is a black and white resume template for a developer. You can edit your coding skills, languages, facts, and references. 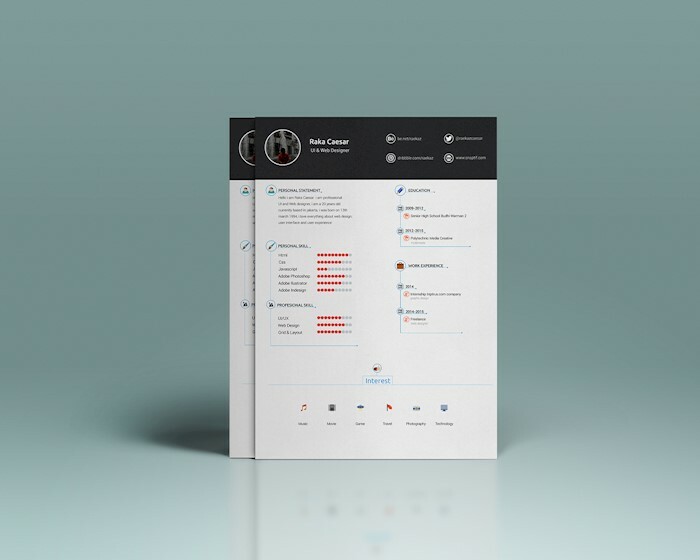 This big pack contains a resume, cover letter, and portfolio page templates. All of them can be downloaded in vector format. 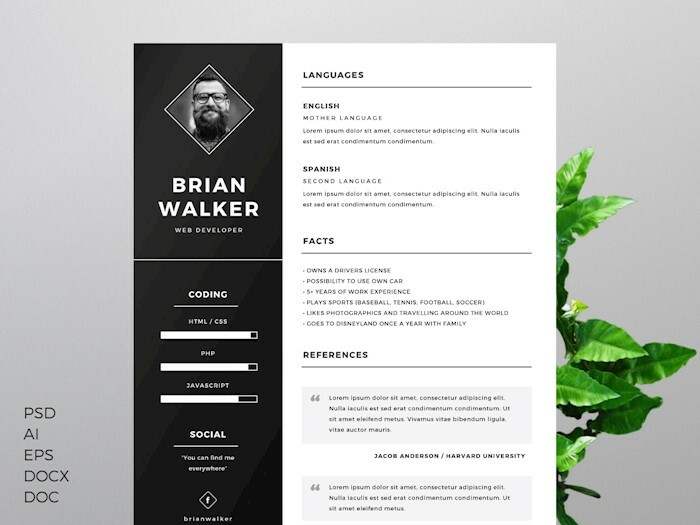 This resume template was created with attention to details. Along with a resume you’ll also get covering letter and portfolio page sample. 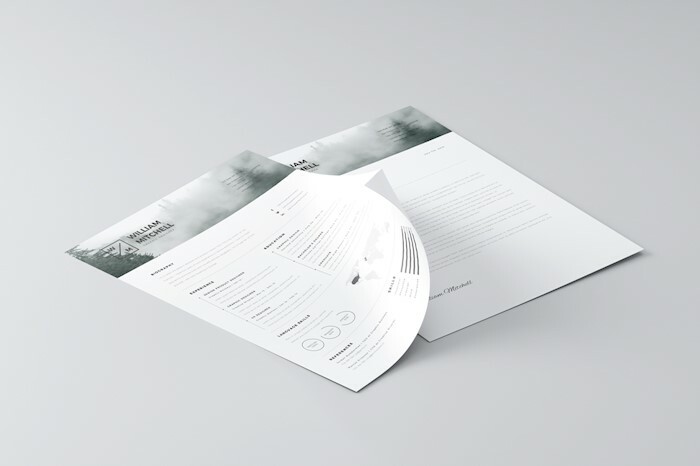 Check out this ultra-clean minimalist resume template for any type of industry. The file is fully layered which makes it easy to edit. 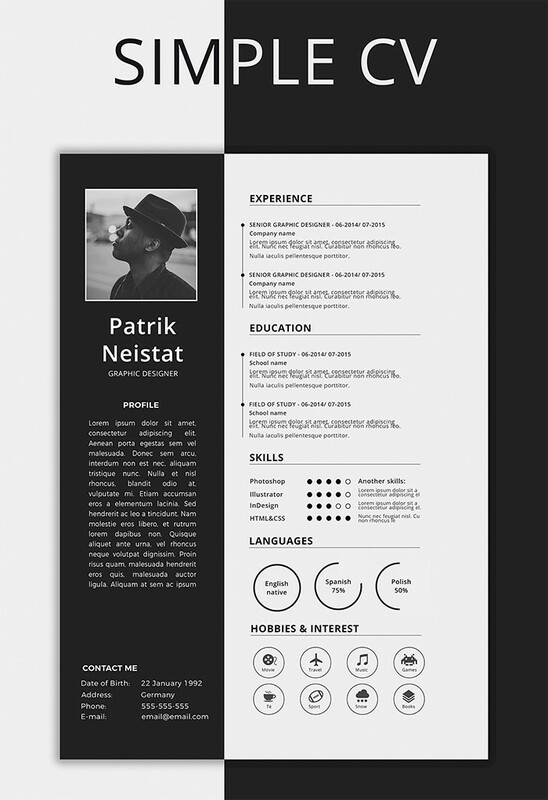 Here is a trendy modern resume sample which you can edit as you like. Download the PSD file with resume and icons for free. 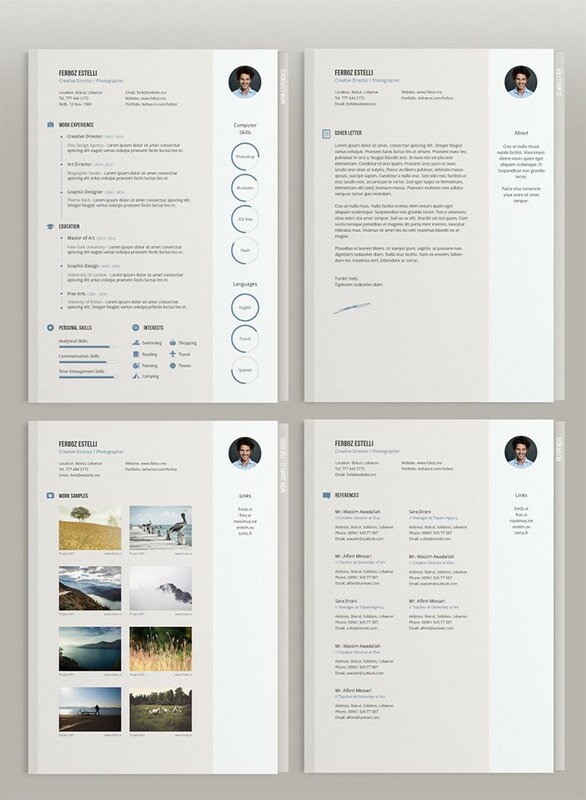 This is an eye-catching, attractive resume template with blue color highlights. You can share about your short bio, skills, experience, and education. 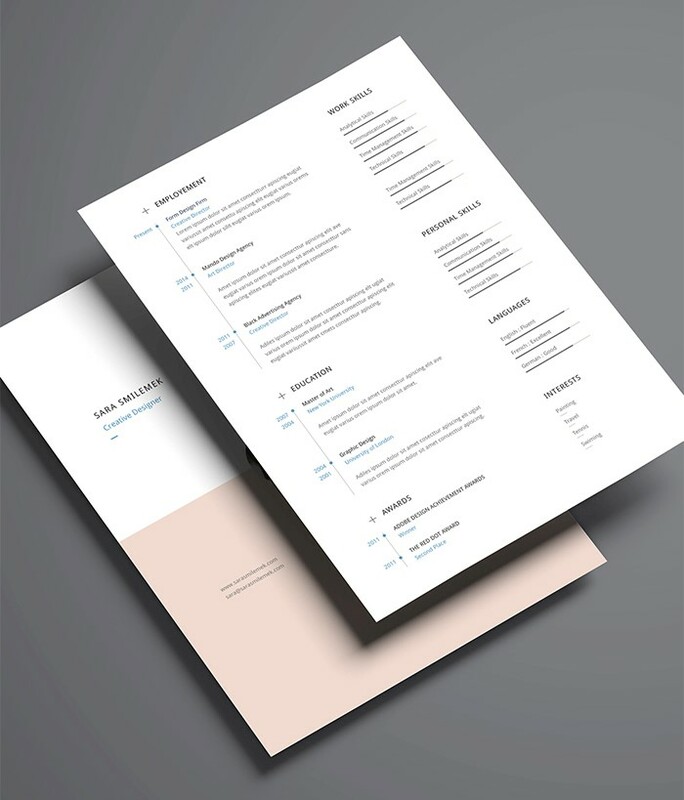 A vertical resume template set including two pages of resume, a covering letter, and a portfolio sample. You can download it for free in three different formats: AI, InDesign, and PSD. 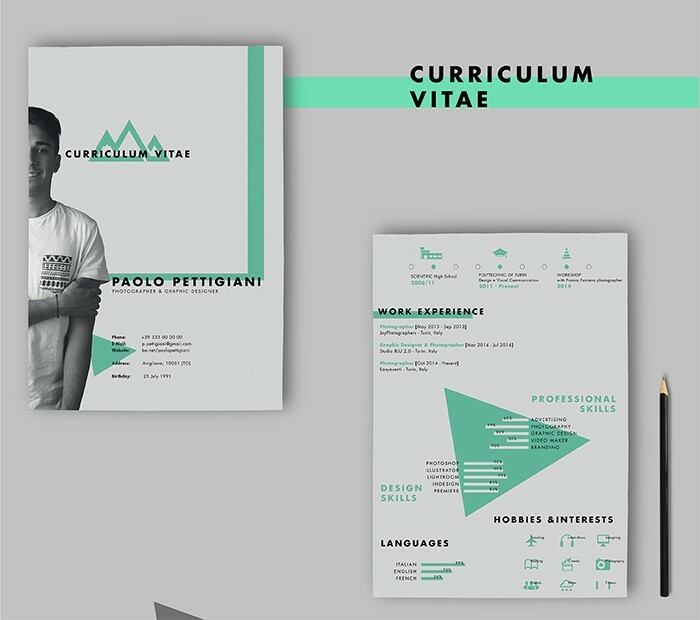 Here is a creative resume sample with cool rhombus shapes. It contains profile, contact info, photo, education, work experience, and software skills. 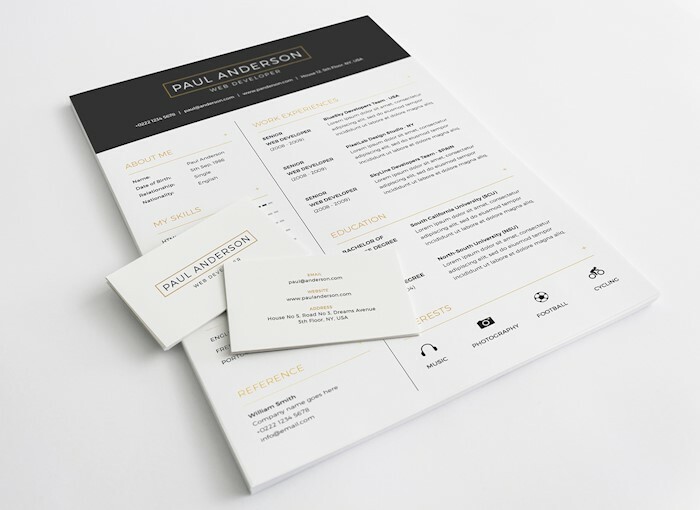 This is an elegant minimalist resume template in beige color. It has progress bars to show your skills. 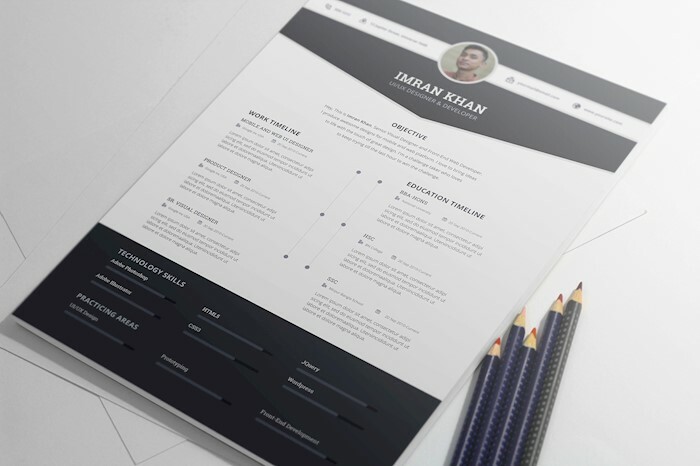 Here is high-quality resume template designed with simplicity in mind. If you are a businessman, this is a perfect choice for you. 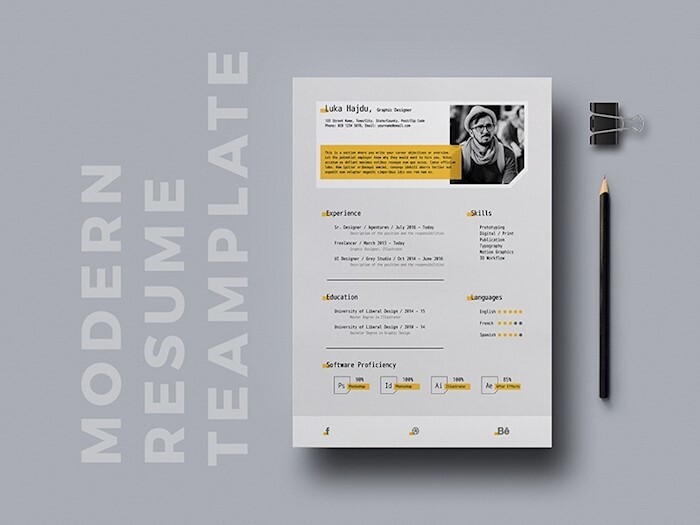 Here is one more creative CV template with all needed files. You need to subscribe to website’s newsletter to download the file.